The tools in Bitdefender's new Android security app may not be unique, but they are some of the easiest we've used. Its Premium version is also the cheapest we've seen, costing £6.95 a year, compared with Lookout and McAfee, which cost at least £19 for an annual subscription. In the free version, you get a cloud based malware scanner, which checks anything you install, including updates to apps and email attachments. It took just 28 seconds to scan the 70 apps installed on our phone. The Application Audit tool shows the permissions your apps have, and warns you if they access data they don't need, or are able to make calls and send texts on your behalf. If you lose your phone, the Remote Geolocation tool will help find it. The paid -for version's Premium Web Security tool warns you if a website contains malware or dodgy links. This is useful, but it should be added to the free version, because browsing safely is as important as avoiding malicious apps. Also, it only works on your built-in browser, so it won't protect you if you use mobile Firefox or Chrome. 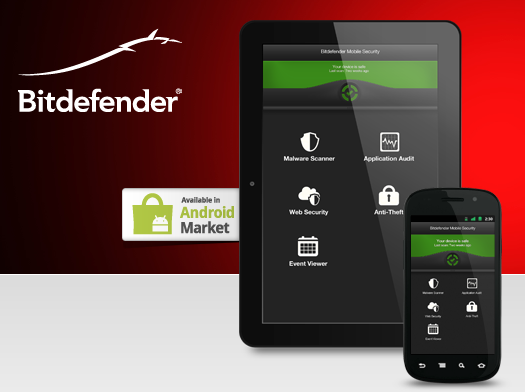 However, we were impressed by Bitdefender's Anti-Theft tool, which is worth the annual subscription alone. If you lose your phone, Bitdefender uses GPS or Wi-Fi to find it. If neither is turned on, it uses your network signal. If your phone is stolen, you can remotely lock the screen, wipe your information and send a 'screaming' alert that emits a loud noise from your phone. You can also write a persona l message to appear on the screen. You don't get some of Lookout and McAfee's more advanced tools, such as alerts if your SIM card is removed. A thief can also turn off Bitdefender alerts, whereas Lookout and McAfee's alarms can only be turned off by you. But these other services cost three times as much as Bitdefender's app which, for its price, range of features and simplicity is one of the best available.